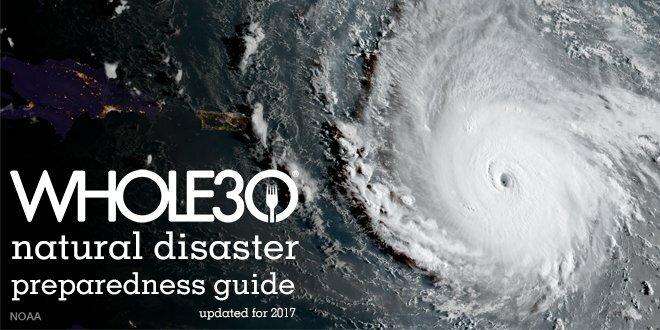 In the light of recent natural disasters here in the U.S., we’ve updated our original “disaster preparedness guide” with current recommendations and Whole30-friendly resources. Here’s hoping you never need it. Even if you’ve been eating a healthy Whole30-inspired diet for years, it may still be tempting to stock up on comfort foods like candy bars or dry goods like cereal in preparation for a natural disaster. You may also hear feedback that it’s silly to worry about gluten or casein when your house is underwater. However, now is not the time to compromise your health. You need to be able to count on your body for consistent energy, clear thinking, stable moods, and confidence that you are caring for yourself and your family as best as you can during this trying time—all things that come from fueling yourself with foods that make you feel your best. With proper planning and preparation, you can make it through most natural disasters without having to rely solely on foods that make you less healthy. Note: We’re not going to get into the non-food supplies you should have on hand (like a generator, a camp stove or grill, and a water filter like a Life Straw); or the steps you should take to ensure your family’s safety before and during the storm.  You can find good resources for this here, here, here, and here. 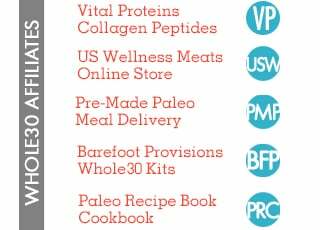 Create your basic food and water stockpile with the following items, noting that not everything here is 100% Whole30 compliant. This is a natural disaster, people; we understand if you’re not clarifying your butter pre-hurricane. Just stick to foods you know won’t seriously impact YOU during the event; if dairy is a no-go, skip whey powder as a viable source of protein. Water. As much as you can get your hands on; experts recommend one gallon per person per day. Fat. Fat is a dense source of calories and should play a big role in your survival food stores. It can be especially helpful to children, the elderly, or sick or injured members of your party who may not be able to consume enough volume to supply them with adequate energy. Animal fats: Fresh fats like lard, tallow, or duck fat can be a valuable asset, but need to be kept refrigerated or frozen until needed. Once thawed, their shelf life is only around three months, so eat these up first, because your electricity won’t be around forever. Butters: Salted butter and ghee will store for six months to two years if unopened and kept cool. Eat these first, before the power goes. Oils: If stored properly, oils (like coconut, avocado, or olive) will keep for up to two years before beginning to oxidize. Buy fats in opaque containers and store in dark places to keep out light and heat. Keep them cooler than room temperature (about 70 F), or refrigerate them if your power is still on. Coconut milk: Coconut milk is not only a good fat source, but it is also rich in magnesium—which can help with muscle cramping and soreness. When stored at room temperature, an unopened can of coconut milk has a shelf life of three years. Coconut flakes and coconut butter are also energy-dense pantry options. Nuts and seeds: Nuts and seeds are a good way to get vital fats and nutrients in a convenient, easy-to-carry package. (And worrying about your omega 6:3 ratio is kind of silly at a time like this.) Find a cache unshelled—in their natural state, they can be stored in a cool, dry place for six months. Meat: We know you’ve got lots of healthy meat in your freezer—and hopefully, you’ve thought ahead and stocked up on propane or charcoal for your grill. Eat this stuff first, as (we hate to beat a dead horse) your power could go out at any minute. Organ meats: This may sound aggressive, but organ meats like liver and heart are some of the most nutrient-dense foods on the planet. Consider freezing some for extra nutrition. Canned proteins: Canned tuna, salmon, and chicken have shelf lives of over five years, so load up. (This list could also include tinned sardines or mackerel.) We’d still advise you to look for Whole30 Approved or compliant brands (like Safe Catch or Wild Planet) without a bunch of added ingredients, and don’t forget a can opener in your emergency bag. Protein powders: These processed proteins are another good source of emergency fuel. They have a shelf life of at least a year (often more, if you keep the containers closed tightly and in a cool, dark place), and can be easily mixed with water, juice, canned veggies, or baby food. Pick up some Vital Proteins collagen peptides or Primal Kitchen Collagen Fuel (not Whole30-compliant, but during an apocalypse, that’s cool), 100% egg white protein from NOW Foods, or grass-fed whey protein (if you know you tolerate it well) from SFH. 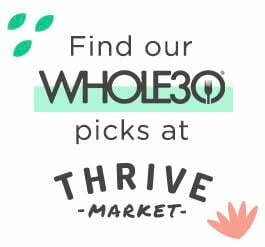 Bone broth: Keep joints healthy, creatine pumping, and your gut happy with the collagen, minerals, and amino acids in shelf-stable Whole30 Approved bone broth. It’ll keep in the pantry for months, but once it’s open, you need to drink it all up (or refrigerate for up to 7 days). Or try Vital Proteins powdered bone broth, which will last even longer. Dried vegetables: These can be eaten dry or added to cooked meals to rehydrate. Opt for nutrient dense veggies – sweet potatoes, butternut squash, beets – to maximize the benefit you’ll get from a small amount of food. Properly sealed dried veggies should keep for eight to ten years. Dried fruit: Nature’s candy makes sense during times of stress and physical exertion. Dried fruits are easy to store and take with you on the road, and pack a lot of energy into a tiny package. Don’t worry about feeding your Sugar Dragon here; you’ve got bigger battles to fight. Most dried fruits will keep for about five years. Baby food: Get your greens in without having to cook or heat. Most baby foods will keep unopened for a year, so stock up on veggies and fruits, but watch out for added cereals if you’re committed to avoiding gluten. Canned vegetables: Another good source of vital nutrients (and carbs). High-acid canned foods such as tomatoes can be stored on the shelf for a year or two if cans are kept in cool, dry, clean places. Low-acid canned foods (like sweet potato or butternut squash; also great sources of energy) can be stored on the shelf for two to five years. We’ll keep this checklist updated as we think of new resources for you. Stay safe; our thoughts are with you.